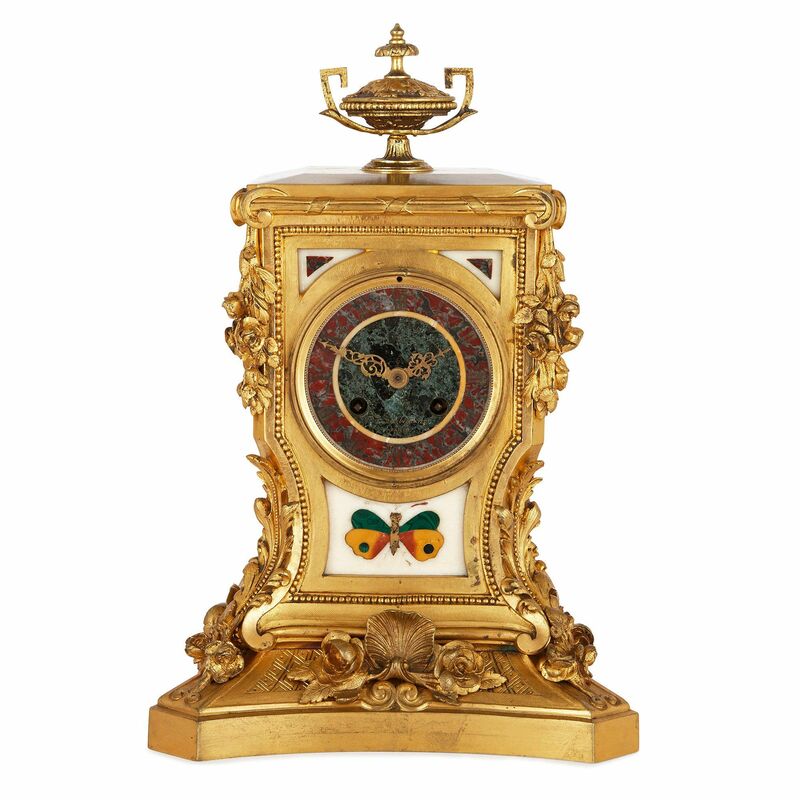 Cast in ormolu and inlaid with pietra dura panels, including one depicting a butterfly, this unique antique mantel clock is both elegant and practical. 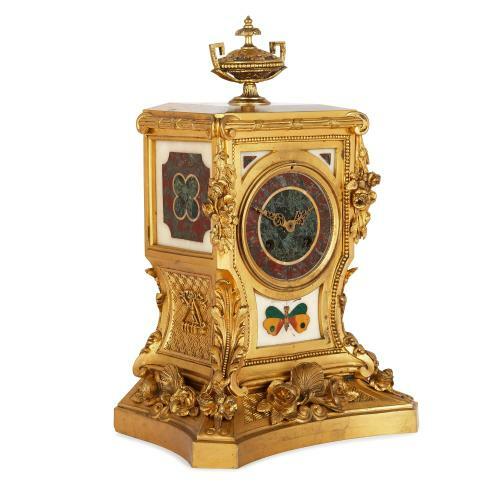 This fine mantel clock, by Ferdinand Barbedienne (French, 1810-1892), is of architectural form, taking the shape of a rectangular, ormolu pillar, set upon a curved, rectangular base. 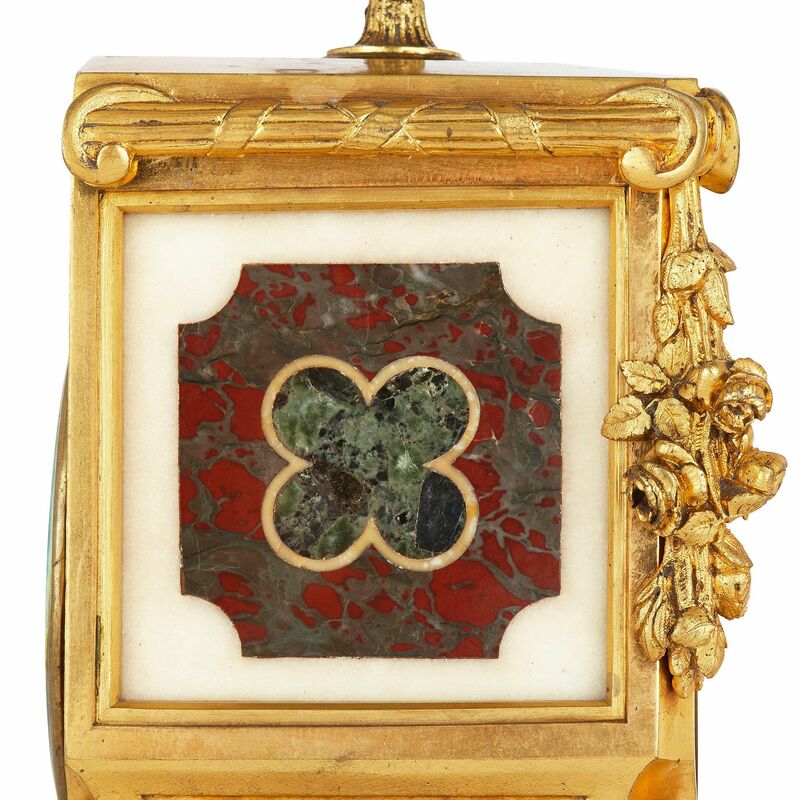 The pillar is surmounted with an urn, and set to the front with the circular dial crafted in bands of green and red marble. 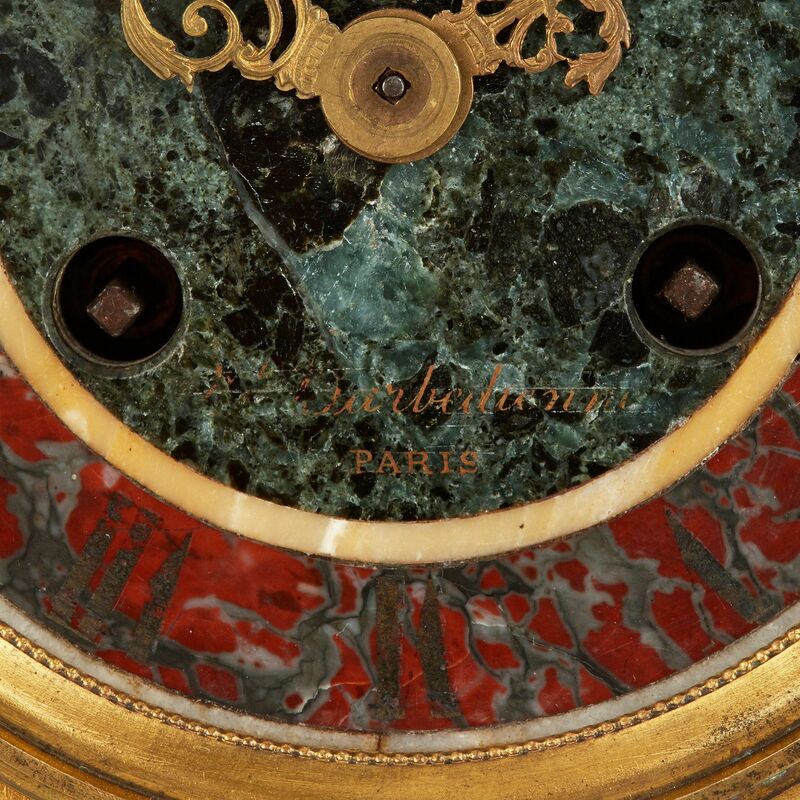 The dial features faded Roman numerals and twin ormolu hands, and bears the signature 'F. 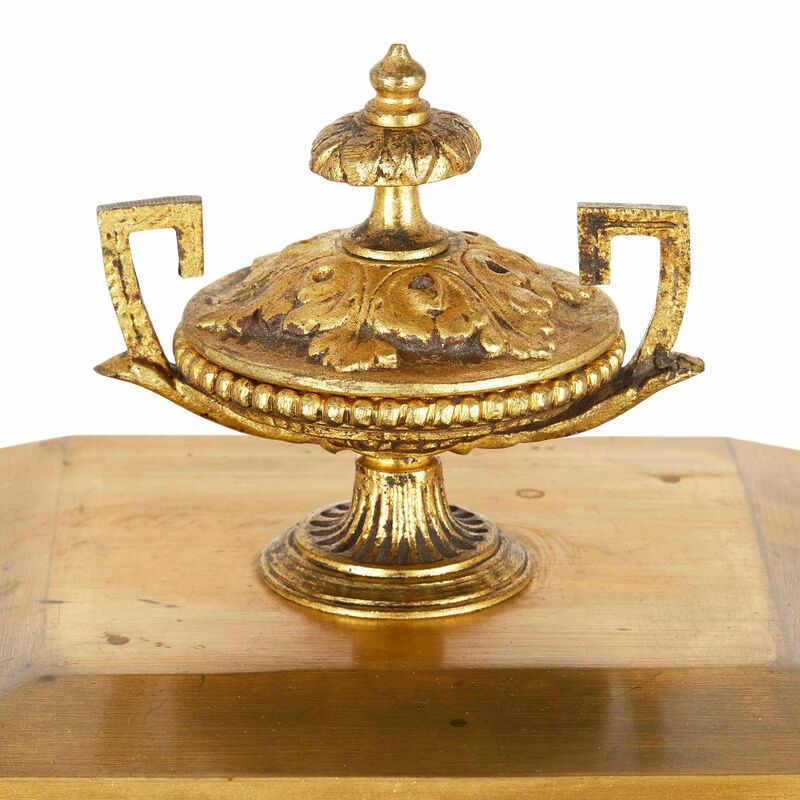 Barbedienne / PARIS'. 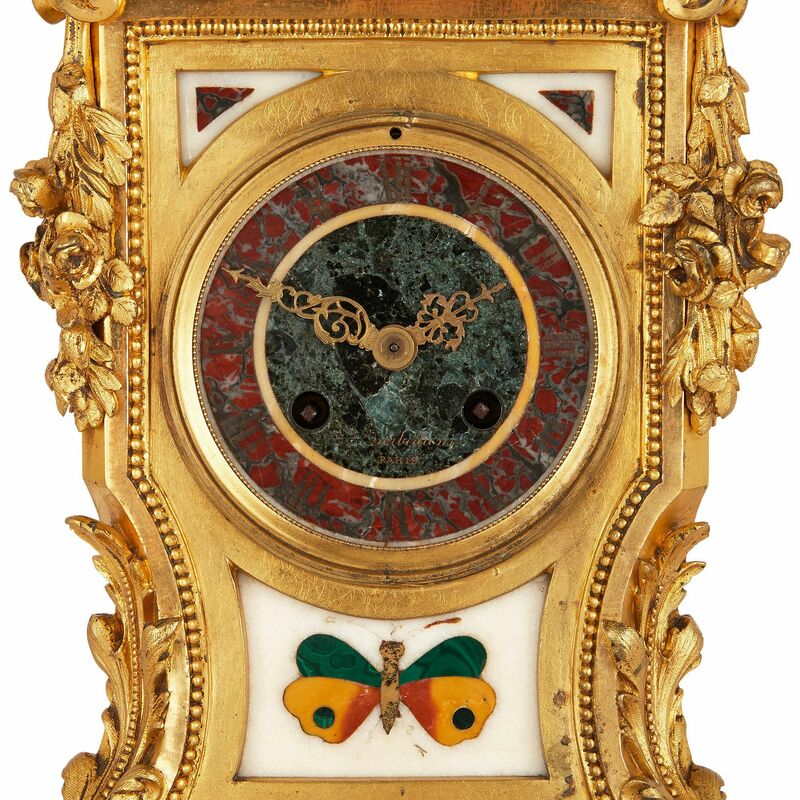 A charming pietra dura panel of a butterfly, crafted of malachite and precious stones set into white marble, features just below the clock dial, and the two sides of the clock also feature fine pietra dura designs. The ormolu clock case, into which the marble inlays are set, is intricately cast all over. 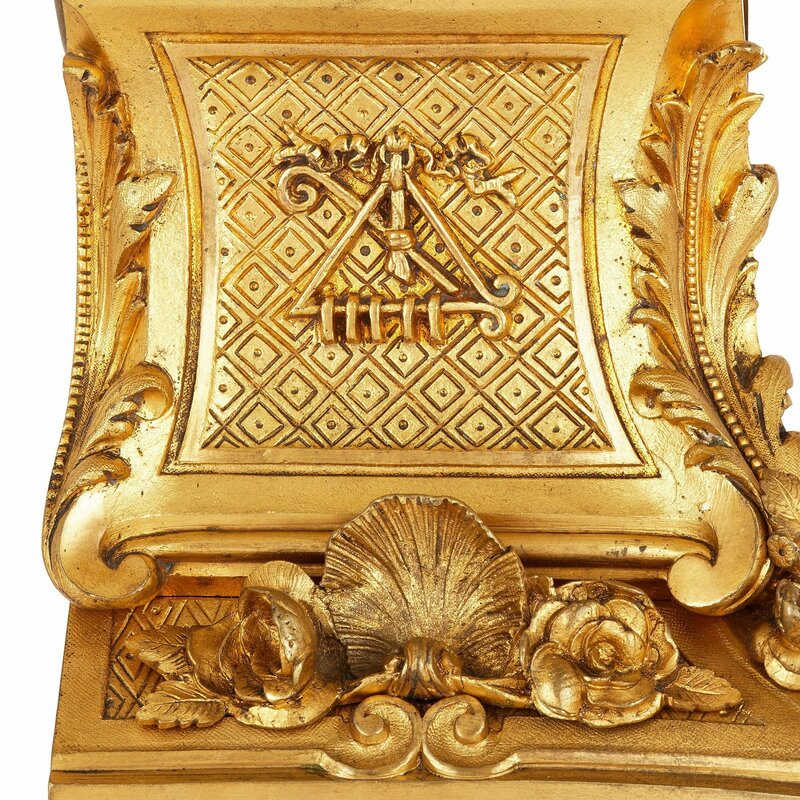 The case features beaded motifs and extensive flowers, foliage and acanthus leaves all around, as well as square panels to either side which are decorated with geometric patterns and triangular instruments hanging from bows.